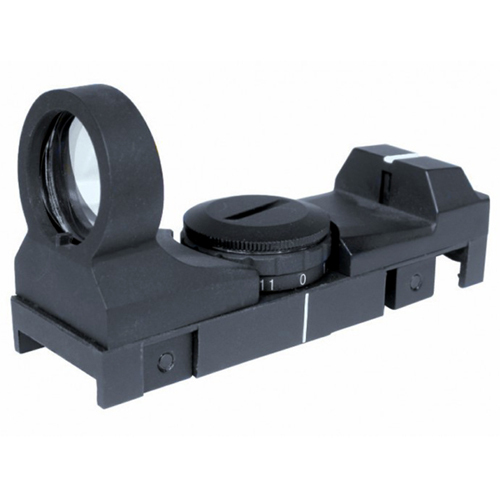 Target shooting is simplified with the Swiss Arms Reflex Sight. This tactical accessory trains a red dot over your target, providing a simple line for an accurate shot. It is compatible with picatinny and weaver rails and easily adjusts for changes in wind and elevation.